How can we achieve peace in the world? 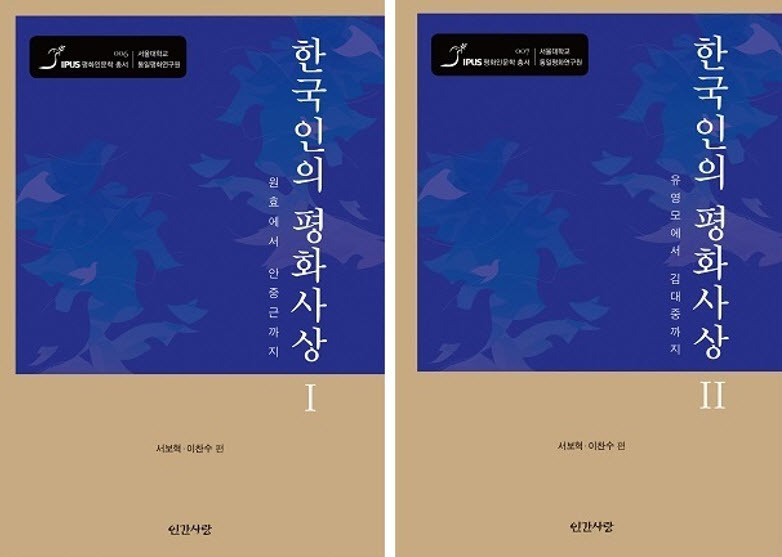 On November 15, the SNU Institute for Peace and Unification Studies (IPUS) published a timely book, Korean Thoughts on Peace, edited by Seo Bohyuk and Lee Chansoo. The IPUS conducts research on peace and unification, with a special emphasis on the complex dynamics surrounding the Korean Peninsula. The institute consists of two research units: Center for Unification Studies (CUS) and the Peace and Humanities Research Group (PHRG). The collaboration of the two units, each consisting of experts in diverse fields including literature, history, religious studies, politics, and sociology, has made possible the unique interdisciplinary research the institute conducts. Written by experts in the field, this book is a compilation of recent academic works, as well as an epitome of the research conducted by IPUS. Though previous studies have explored the peace theories of individual thinkers, a comprehensive analysis like this has been very rare. Covering a vast time period from ancient times to the present, Korean Thoughts on Peace shares the wisdom of renowned Korean thinkers in history, providing readers valuable insight on how to achieve peace in a Korean context. The authors of the book explain how Koreans have sought ways to achieve peace both passively and actively. For example, the Tangpyong policy, a guideline by King Chungjo (1752-1800) on how to manage conflicts between different political parties, emphasizes both the absence of conflicts themselves and the pursuit of social justice and equality. Korean Thoughts on Peace considers the perspectives of not only the elites but also other influential historical figures. While political and religious authorities (such as Wonhyo or President Kim Dae-jung) constitute the majority of the book, it also includes a variety of actors of history such as revolutionary Jeon Bong-jun, poet Han Yong-un, and musician Yun Isang. By analyzing the trials and errors of the past generations, Korean Thoughts on Peace helps readers consider the next steps that the Korean society should take on its pathway to peace.